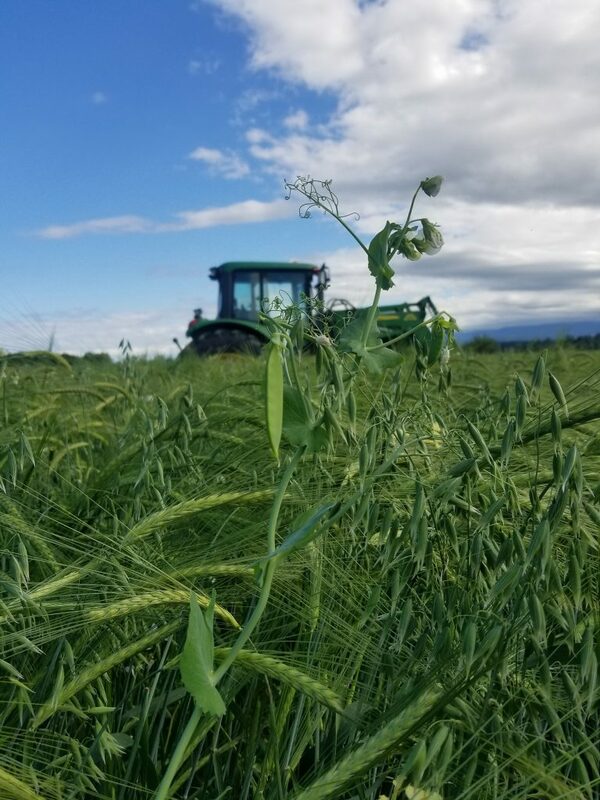 SMITHERS – The province is developing a forage action plan for private land, BC Cattlemen’s Association members heard at their annual general meeting in Smithers in June. 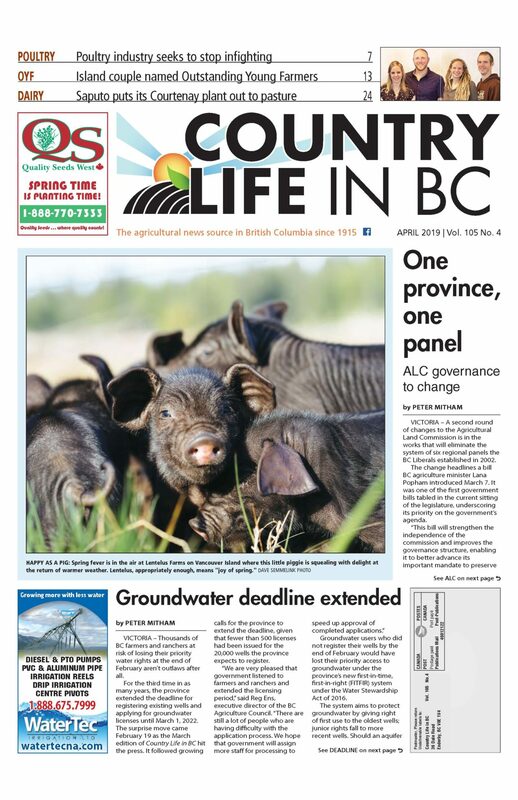 “Our goal is to increase and improve the quality and quantity of forage on private land,” BC Ministry of Agriculture livestock specialist Geneve Jasper told ranchers. Seven regional engagement sessions have been held across BC to date. Agriculture staff have reviewed local data and practices in other jurisdictions. Industry reps and regional agrologists were interviewed and an online survey completed. In 2016, 78% of farm acreage in BC was in forage and pasture, including tame pasture and land seeded to alfalfa, corn for silage and forage for seed. BC forage production fed 776,000 livestock animals in the province that year, including beef and dairy cows, sheep, lambs and goats, horses, llamas, alpacas and bison. Across the province, more than half of producers regularly test their forage for protein, dry matter and minerals the online survey found, while about the same number conduct regular soil testing. “But we still have a lot of producers who do not regularly test either their forage crop or their soil,” notes Jasper. Some 70% have adopted new forge management techniques such as grazing systems, but financial costs limit innovation. Wildlife is the top challenge forage producers across the province face, she says. “Every region noted this as an issue, whether it was waterfowl, ungulates or bears,” she explains. Other challenges include the availability of water and suitable, fairly priced land for growing forage, as well as climate and weather changes. “Drought conditions are becoming more common, as is too much water at certain times, such as we have seen this year,” she says. The survey highlighted the challenge of controlling invasive plants, pests and diseases on forage land. Most producers also identified a need for more local and relevant research and knowledge transfer. The engagement sessions identified soil health and forage quality as a particular concern. Meanwhile, the equine sector faces challenges finding low-sugar forage. The problems stem from long-term neglect of soil health, says Jasper. “Management techniques, soil testing, and input analysis are not generally adopted and there is not sufficient research and return on investment for dealing with soil health and forage quality issues,” she explains. The forage strategy is also considering what industry, stakeholders and producer groups can do to improve matters. The top area for attention is wildlife, and the need to balance the public’s love of wildlife and crop production. Producers called for improving compensation for wildlife damage, as well as managing wildlife numbers through increased hunting and the development of crops unattractive to wildlife. Increasing the availability of land suitable for growing high-protein grasses, with access to water, was the next priority for action. It was suggested that regulations be used to incentivize the productive use of land suitable for forage. Participants called for more action on invasive plants, pests and diseases. They felt the BC Weed Control Act and its regulations need to be enforced, and increased monitoring of invasive plants was needed. A number of recommendations focus on research and knowledge transfer, including the development and trial of forage species and varieties specific to individual regions, as well as research into forage management practices and systems. Producers called for research commitments that could outlive government funding cycles. Government is still needed, however. BC’s agriculture ministry was urged to undertake research as an impartial source of knowledge with the reach needed to disseminate information to individual regions. A draft plan has just been completed by the Vancouver consulting firm Ference and Co., Jasper notes. It will be submitted to the ministry, which will establish priorities then develop work plans following consultations with stakeholders. There is no schedule for completion. A second phase of the project will look at forage on Crown land.